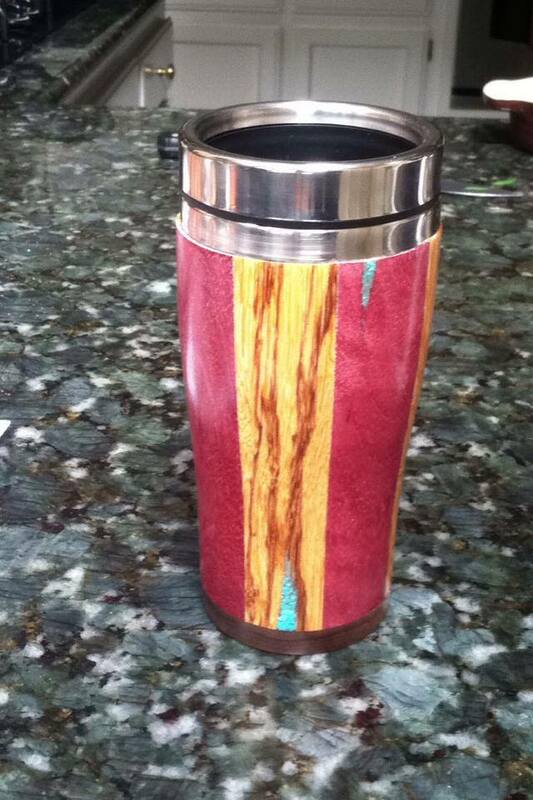 From Jason Woodford: Christmas gift(s) to the wife. 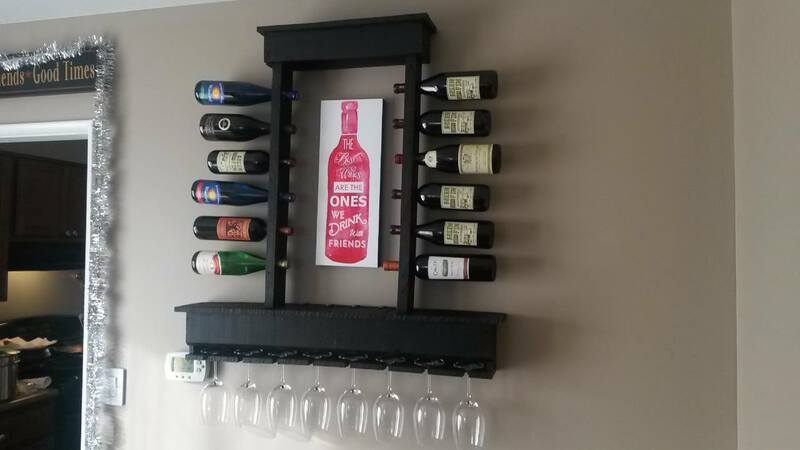 New wine glasses, custom wine rack and some one of a kind artwork designed by a friend. The rack is made from pallets and has a black enamel finish. I drilled the holes for the bottles at a 7 degree angle because I found that’s what worked best for them to settle in around parallel. It’s got storage for corkscrew/aerator/etc. in the middle. I made the hinges on the storage bin out of some rejected leather from work and some “hammered” furniture nails. From StacieandTrin Crawmer: Christmas present I made for my wife. 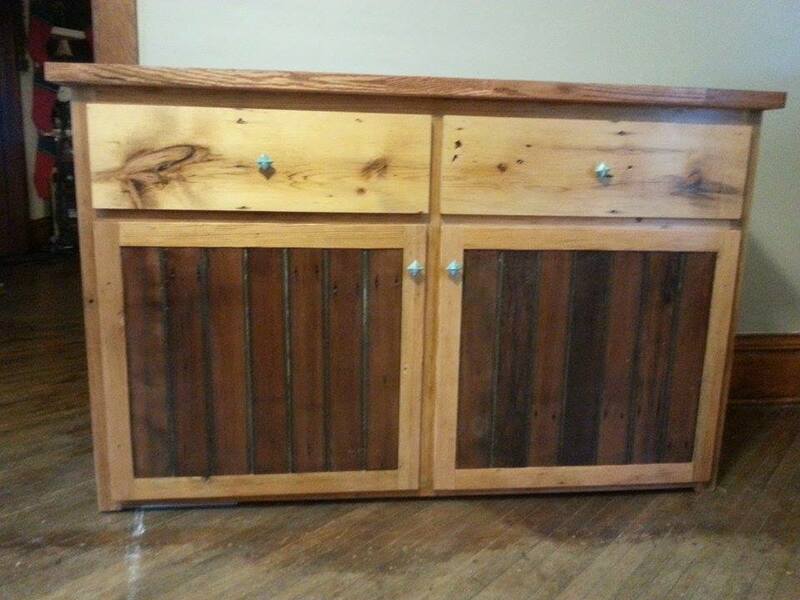 Dining room hutch made from all reclaimed barn wood.